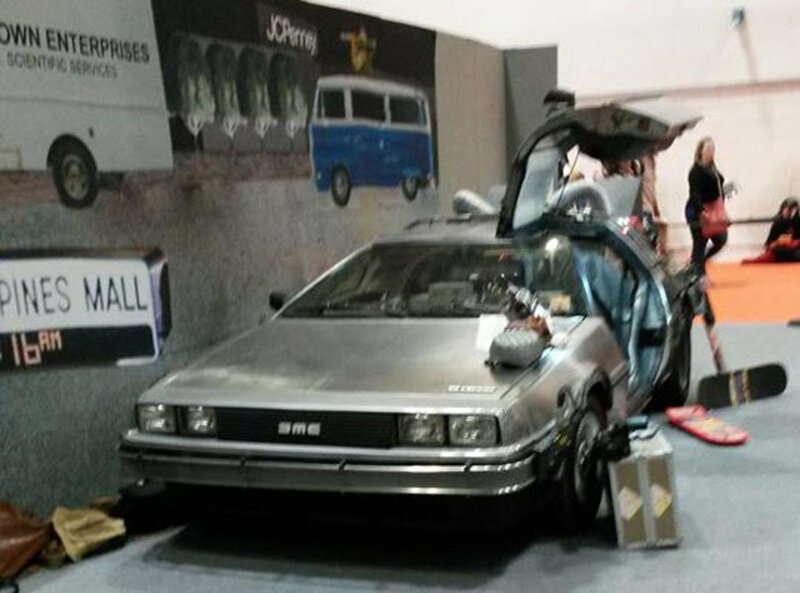 Comic Con London is already the UK's largest pop-culture event, and it's still growing in leaps and bounds. 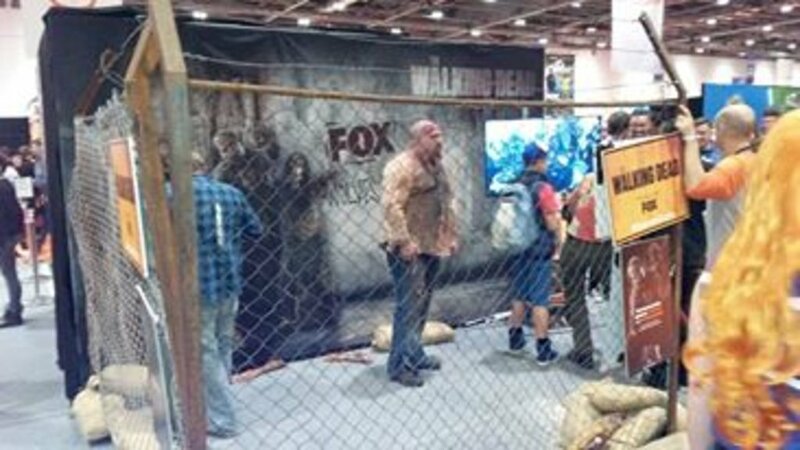 This year, the event pulled in a staggering 130,000 people over the three days, 30,000 more than last year, and played host to panels from some of the biggest shows going today, including The Walking Dead and Sherlock. It also has some of the best shopping for anyone even a little geekily-inclined, as well as being the perfect opportunity to have a bit of a party with some like-minded folks. Although we had a most excellent experience, as first-timers, there were a few things we wish we'd done differently. 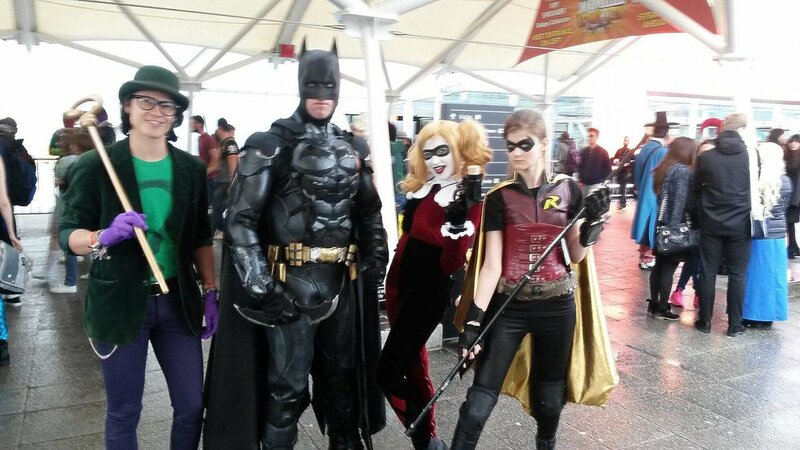 So you don't fall at the same hurdles we did, here's our London Comic Con survival guide, so you can make the most of it. 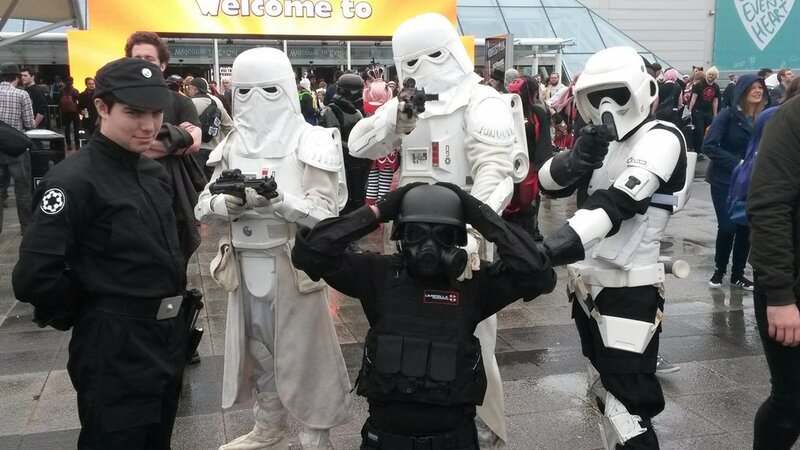 London's ExCel Centre is big, sure, but when you have over 130,000 revellers attendees up for the weekend, things are going to get a little tight - especially with them all bottlenecking at the entrance. While they do have a decent number of gates in action, it can still take a while to get in. Those with regular tickets can start going in at 11am; so beware if you want to watch the first panel as they usually start at 12 noon and it can take over an hour to get in. Even if you do make it through the gate with time to spare, the most popular panels fill up quick. 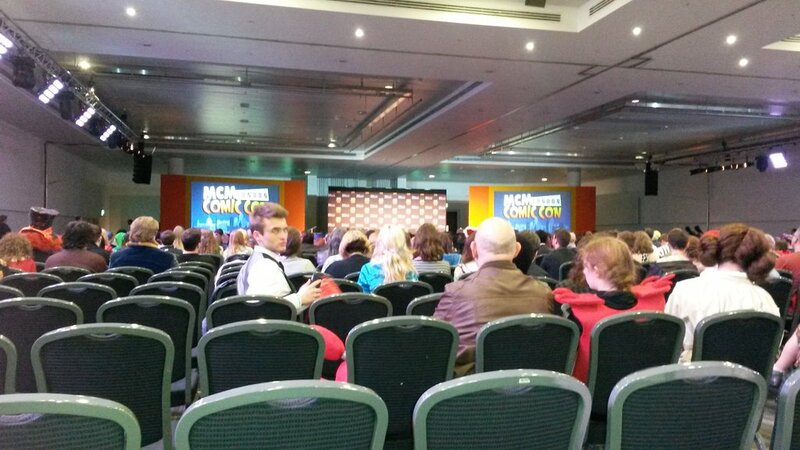 This year we missed the two we wanted to see most due to timing issues, being stuck at the gate for The Walking Dead talk and wedged at the back of an impossible crowd for Sherlock. OK, you're no doubt starting to notice a pattern here. 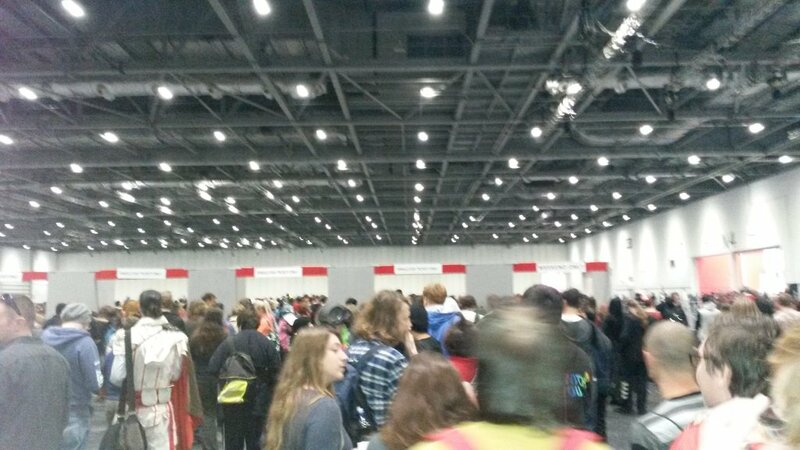 Yeah, the queues for the cash machines are almost the length of queues for the best panels. In fact, one cash machine queue filed out the rear entrance and into the rain - crazy. So, if you want to avoid this, stock up on the cash and stash it somewhere safe. 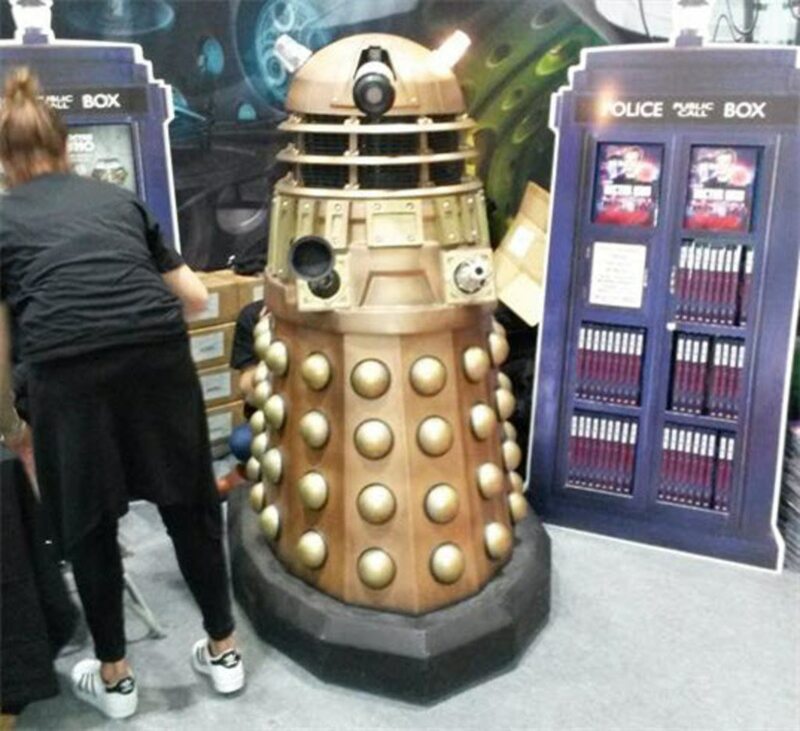 There are plenty of stalls around selling the most glorious selection of comics, collectables, video games and all kinds of exquisite geek tat. Don't go missing out. Comic Con is one of the best places in existence to play and try-before-you-buy the most popular new titles. This year's highlight was the latest Assassin's Creed, which I will most definitely be purchasing once I've finished Unity... and Black Flag... yes, I'm bad at Assassin's Creed, though I do love them so. With a retail area that's like a packed bazaar on the planet of Tatooine, populated by a tear in the fabric of an other-world version of Roger Rabbit's toon-town, and having to practically crowd surf into the best panels, exploring this beast of a convention can be thirsty work. So, it's not surprising that many of the convention's visitors like to pay regular pit-stops to the nearby pubs. Being one of the closest, The Fox usually draws in the crowds, turning into something of a party pub as the evening comes to a close. They'll bust out some cheesy tunes inside, while there's also a nice patio area outside for that much needed fresh air break (it gets stuffy inside that convention). So get your boogie shoes on or just compare costumes and makes some friends over some pints, lovely. 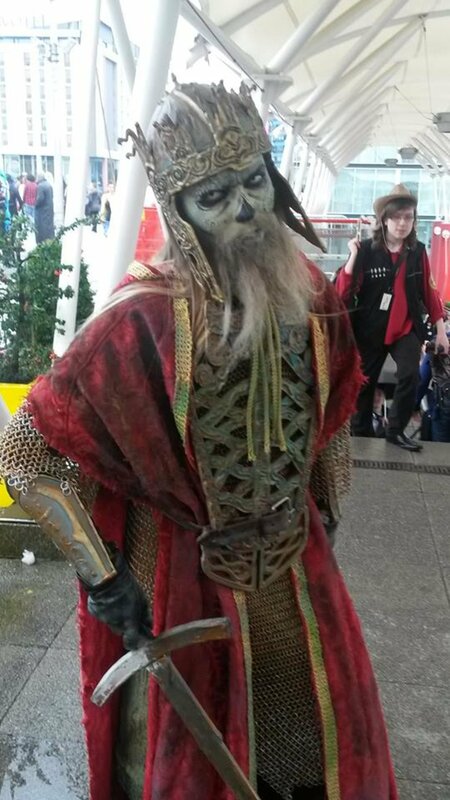 When it comes to cosplay at Comic Con, people really, really pull out all the stops. 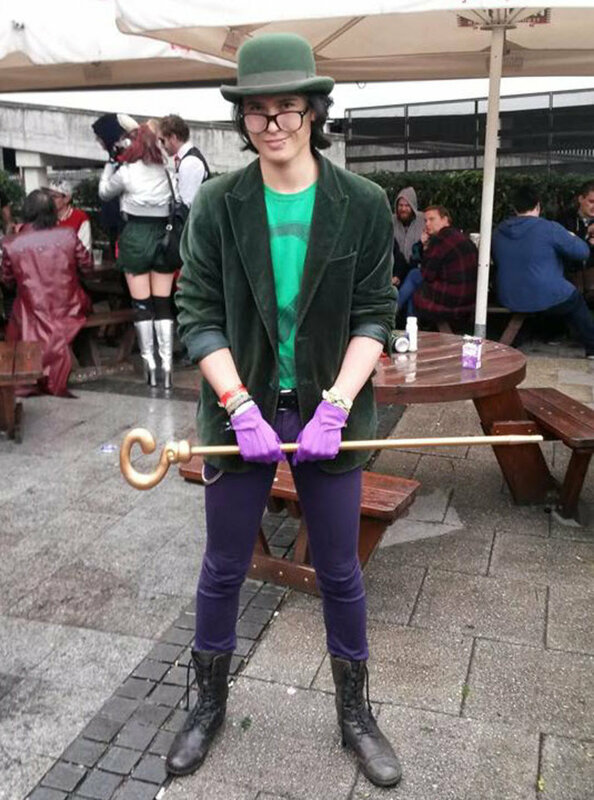 I thought I was spending quite a bit when I finally succumbed to the idea of buying a genuine green bowler hat for 20-something quid and a 'genuine' Riddler cane. Uh uh, that's nothing. I mean, it's not ultimately a big deal, but if you want to spend the day feeling like a minor celebrity and having your picture taken, put together a good cossie! 8. To After-Party or Not to After-Party? Every year, Comic Con London runs an official after-party at the venue, complete with DJ and dance floor. Now, it's a pretty cool place to party with your fellow fancy-dressed friends, but the drinks are a bit pricey and the queues (OK, this is the last one!) are long - yes, people do actually queue at the bar! 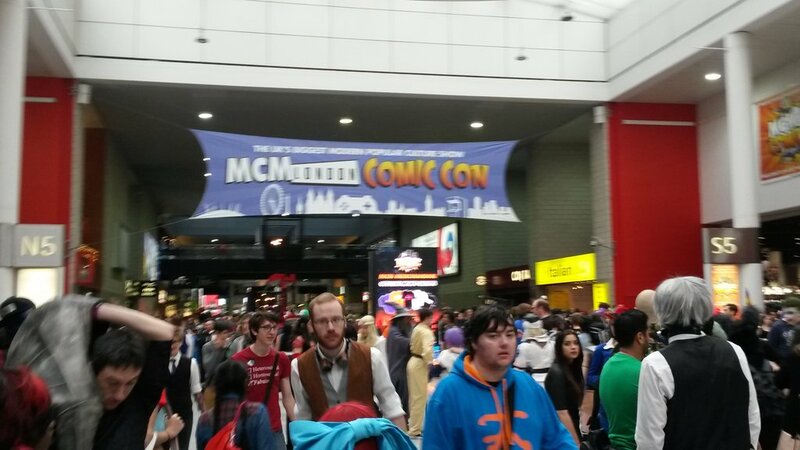 At Comic Con you have thousands and thousands of people, all under the same roof, who are all largely into the same niche stuff as one another. You also have lots of people dressed in, frankly, ridiculous costumes, so inhibitions have largely gone out the window. This is a perfect opportunity to chat to some randoms and make some new like-minded friends. Largely people are very friendly here, so that won't be too hard. Don't be shy and get stuck in. If you decide to go the distance, and by that we mean staying until the end of the after-party or sticking around with fellow revellers until the pubs close, you're going to have a little trouble getting back into central London on public transport. There's not much in the way of night buses from the Excel Centre and the DLR trainline will long have gone into slumber for the night. Make sure you've downloaded the Uber app to your phone or grab a mini-cab from the office opposite the Hotel Ibis. The ExCel Centre can be reached via the DLR, getting off at Custom House or Prince Regent. It's also a 15 minute journey via DLR from London City Airport. Want convenience? Why not stay at the Hotel Ibis or any of the other hotels around the ExCel Centre? Check out our selection on Expedia.co.uk. 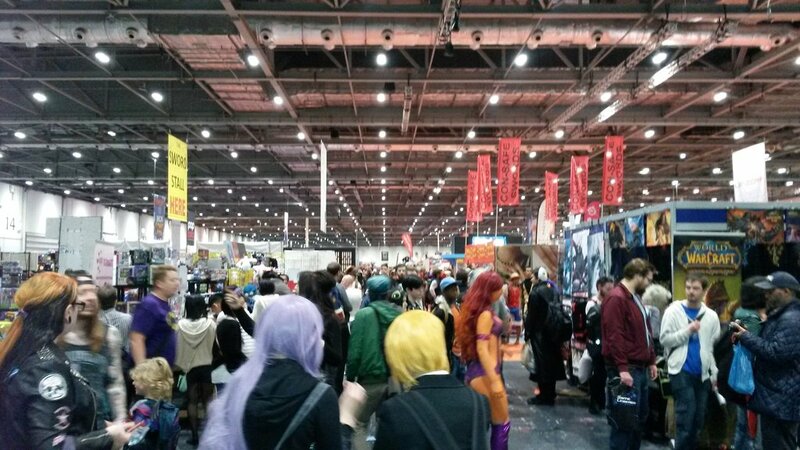 The next London Comic Con is 27-29 May 2016.